Let's go on a field trip without leaving the classroom! 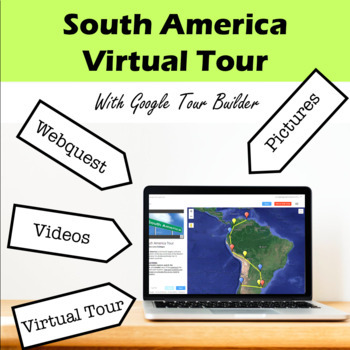 Take your students to a virtual field trip to South America with Google Tour Builder. 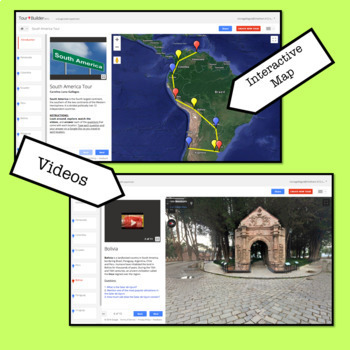 On this tour your students will be able to explore, look around and watch videos and see pictures of all 9 Spanish-speaking countries in South America. They will learn and have fun at the same time! Each location comes with three questions about it (27 questions total). Questions also come with a link to a website with the answer in it. 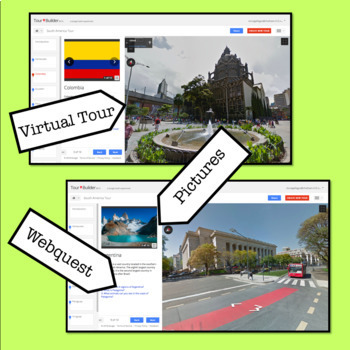 This resource includes recommendations on how to use the virtual tour, the link for the activity, printable worksheets for questions and answers and an answer key. Get ready to explore! Venezuela: Flag, currency and sports. Ecuador: The Galapagos Islands and the Galapagos tortoise. Bolivia: The Salar de Uyuni. Paraguay: Bilingualism and The Triple Frontier. Chile: Easter Island and the moai. 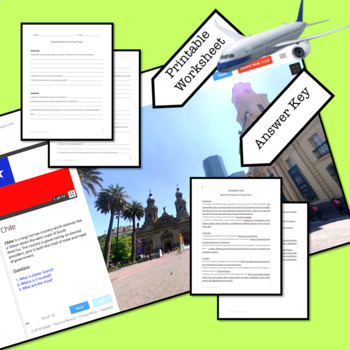 Printable worksheet with tour Questions for students. ♡ I would love to read your opinion about this product ♡ Please write a review at the bottom of this page to earn TpT credit!